Status: Rare migrant and winter west. Lone Little Gulls are often found amidst flocks of Bonaparte's Gulls and terns. They often forage in flight, flying slowly low over the water and dropping down to pluck items from the surface. They also land on the water and feed from a swimming or wading position. Migratory movements in North America are not well known. 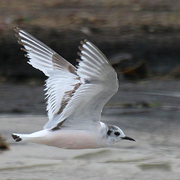 In Washington, sightings of the Little Gull are rare and occur primarily in the fall (September-November) in coastal and western Washington regions in aquatic habitats. Look for them in mixed flocks with Bonaparte's Gulls. 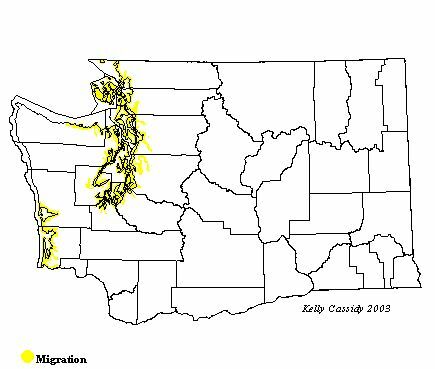 American Lake near Fort Lewis (Pierce County) and Point No Point (Kitsap County) are traditional sites for this species.